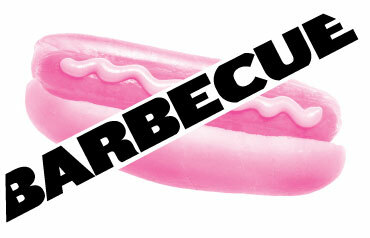 I wish I could tell you all about Robert O'Hara's terrific new play, Barbecue. I wish I could tell you about the Brechtian breaks and just why the play is so provocative, exactly how it plays with our perceptions of race, sexuality, truth vs. fact and the artifice of making art. But to dive into the details would be to spoil the fun of sitting in the theatre and watching it unfold. I can tell you that the play begins at a barbecue in a public park. Siblings are gathered to perform an intervention for their youngest sister, whose drinking and narcotics habit is getting out of control. You start to develop ideas and judgments about these people and then O'Hara (Bootycandy) flips the script and presents the same situation in a different light. He continues to tantalize the audience with the unexpected, constantly shifting any sort of home base, any sort of cornerstone that says, "this is what's happening." We don't ever know precisely what happened/is happening/will happen, which is at the crux of Barbecue. We must ask ourselves, does what really happened matter, or is "truthiness" more important? Bravo to the terrific ensemble: Becky Ann Baker (Good People); Marc Damon Johnson (You Can't Take It With You); Arden Myrin; Paul Neibanck; Tamberla Perry; Constance Shulman; Heather Alicia Simms; Samantha Soule; Benja Kay Thomas (Bootycandy); and Kim Wayans, (In Living Color) and director Kent Gash.